Francesca Krihely was the Senior Manager of Community at MongoDB for three years. She recently moved forward to lead Marketing at Bowery, continuing her work with developer communities. Interested in Developer Evangelism? Please join us in San Francisco for our CMX Series event on Developer Evangelism and Communities on January 14. Developer Evangelists are sitting at the cusp of a huge trend. Developer Evangelism is finally becoming a specialized field, with best practices and a framework for future professionals to follow. Up to this point, many of us have been doing this in silos – creating strategies at our own companies and keeping insights hidden. But – just like Community Management – Developer Evangelism has not quite become a well-defined profession. We are the ones on the ground who need to define it. Right now, we are a number of passionate people who want to make it as easy as possible for developers to be successful and to deliver tools from the businesses we represent. But soon, we will see structure built and common understandings of how developer outreach really works. Because developers hold the key to product adoption and innovation. Developers are the creators who can showcase how to bring your product to life. They are the people who will help others see what is possible, and you are responsible for giving them the tools to do that. Some of the biggest names in technology are investing heavily in Developer Evangelism: Google, Facebook, Adobe, and many many more. This alone is a strong signal that we’re at a significant inflection point. At MongoDB, I worked closely with our Engineering teams to manage our Developer Evangelism program – setting the strategy and deploying the team around the world to drive product adoption and share people’s passion for MongoDB. Over the last three years, I’ve seen some major shifts in how Developer Evangelists get their work done and how we can be most successful. I believe the next five years will be significant for Developer Evangelism. We will see a number of foundational changes — some of which I have outlined below — that will further cement it into a well-articulated business function for all types of organizations. If you’re interested in exploring Developer Evangelism as a career or learning how to use Developer Evangelism as a strategy in your business to build a passionate user base for your product, here is where you should focus your work and how that work will evolve quickly. 1. Evangelism will overtake traditional marketing for developer-facing companies. Developers are notoriously skeptical and hard-to-reach as a group, so companies realize that they need a specialist to get their messages to them. Traditional marketing simply won’t cut it and this will be the case more and more over the coming years. So how do you craft a strategy around this type of personal outreach? If you’re looking to launch a Developer Evangelist strategy or join a team building a developer community, you must create both a long-term and short-term strategy. Find reliable metrics that you can track over time that shows the growth and engagement of your community. You can take a look at some of what SendGrid measured under Tim Falls here. Other ideas include measuring traffic to developers’ blog posts, customers who sign on as a result of interactions at events, and changes to the product as a result of community feedback. There are a lot of metrics you can possibly choose to track. Every conversation I have with a Developer Evangelist, we begin talking about how to communicate our value and impact to the organization; we need to keep an open dialogue going about these things within and outside our organizations. It’s complicated and there are hundreds of ways you can show value to the business. No matter what you measure, be consistent with tracking and urge your executives to use those metrics in key meetings with investors or other stakeholders in your company. Companies will come to trust their Evangelists more and more to communicate developer feedback. We’re seeing this already, but it will become an absolute necessity over the next few years. The Developer Evangelist will become the primary voice from the field to the organization. Furthermore, we’ll see feedback mechanisms ingrained into products, increasing the efficiency for delivering feedback. Using a product will immediately get you involved in its improvement and development. This means that Developer Evangelists will continue to give valuable feedback, but it will now occur at scale. Automation will not remove the Developer Evangelist, but it will allow them to see big-picture changes that need to be made and to become strategic rather than reactive in their work. If you’re considering becoming a Developer Evangelist, it’s important to develop a strategic mindset about product direction and how you will deliver high-level metrics to your team to shape your product’s future. 3. Evangelism will continue to become more than hackathons and conferences. In the next five years, Evangelists won’t be expected to go to hackathon and hope for the best (and most Developer Evangelists are well beyond this stage already). Right now, hackathons and conferences are a primary venue for Evangelists. In the future, Evangelists will be at the frontlines of your organization. At Twitter, Developer Evangelists help support early users so they can leverage their Ads products effectively in their apps. The Evangelists serve as community consultants on products, able to condense diverse product feedback and perspectives into a digestible format for the team to execute on. The tasks of Evangelists often elevate them to “celebrity” status, and many become strong stakeholders in their communities. They’re the main educators to the community at large, often delivering presentations at hackathons and getting down in the trenches to work with developers at large events and conferences. Over the next five years, this role will become even more important. Evangelists will not only help spread the word about products, they’ll also become mentors to the very earliest of customers. If you’re looking to hire a Developer Evangelist, look for someone with amazing one-to-one interpersonal skills. If you’re looking to become a Developer Evangelist or sharpen your skills, focus on your communication skills and how you can become more strategic about the education and mentorship you provide. 4. Evangelism will become far more inclusive to women, people of color, transgender, and non-able bodied individuals. As development and engineering gets more diverse, we will need evangelists who represent these groups to have a voice in the field and bring new developers into their communities. As this happens, Developer Evangelism will become a more diverse field. We will need Developer Evangelists to pave the way and serve as mentors and role models for others entering the field. This is a critical role in getting more diverse groups participating in our technology communities and creating social change. Empowering individuals is central to the role of a Developer Evangelist, and in the future, we will see this positively impact many women and people of color who have historically not had tremendous power in the tech world. Evangelists hold the key to this empowerment, but they have yet to leverage it fully. 5. Evangelists will have tried and true practices for achieving specific goals. We are at the beginning of this inflection point in the tech world– let’s call it a Renaissance — where we are recording practices and turning our activities into a science. While the community growth cannot be summed up with an equation, there is an enormous opportunity to create sets of definitions, tactics, and prescribed methods to help educate and empower the next generation of evangelists. That means that anyone in this field can have tremendous leverage to shape the face of this community-building profession. Anyone. 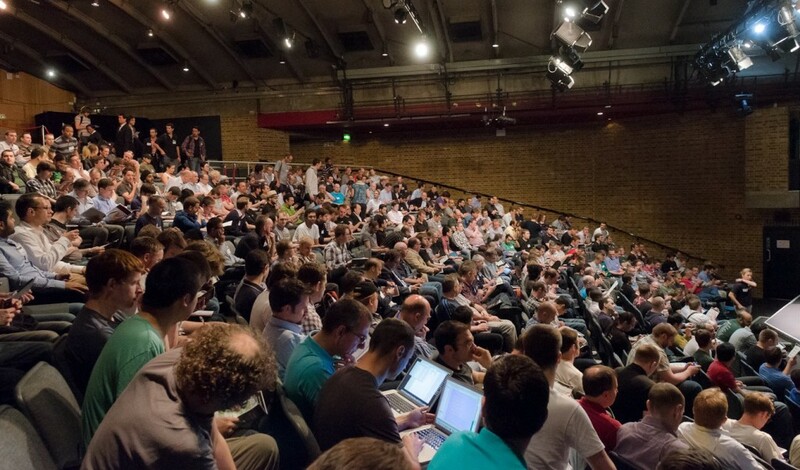 The creation of Developer Evangelist events and Developer Evangelist meetup groups in New York, London, and San Francisco show that there is a need for communication and knowledge-sharing on the topic. I’m excited to see these working groups grow around the world and start seeing more blogs and presentations distilling best practices to share the best parts of the job with others. Developer Evangelism is here to stay. It has proven to be an impactful adoption strategy and not just a fad or a clever marketing tactic. It’s important for all community builders to be mindful of the ways that Developer Evangelists are transforming and turning their work into a science. This is relevant for all community builders. As we grow, let’s not only create measurable ways of showing our progress. Let’s also share those measurements with others so that we can build a strong foundation together. If we all share the successes we’ve had and best practices, we’ll all do better in our work. As a rewarding by-product, those willing to share will become the rockstars and “celebrities” of the field. If you’re a company interested in hiring Developer Evangelists, you should look to someone who can carry out your strategy in this direction. And if you’re interested in becoming a Developer Evangelist yourself, there has never been a better time to join, learn from the best, and shape the future of this craft.